What do Bob Marley and Hugh Sherlock have to do with one another? The Rev. 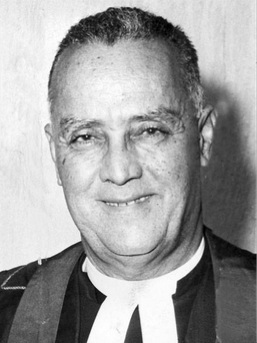 Hugh Sherlock was a Jamaican, a Methodist minister, the first President of the Methodist Church in the Caribbean and the Americas — and, of all things, author of Jamaica’s National Anthem. He also ran a boys’ club in the shanty towns of Kingston. “Operation Friendship” he called it. And it was in such a township, under the tutelage of Christian teachers, that Bob Marley lived. That’s where he formed his political and social views. That’s where he developed his music. And that’s why we shouldn’t be surprised that, through his music, he wanted to address the society around him. Reggae became the soul music of Black Caribbean people. And it became the vehicle for giving black people their pride. The only way black people could be superior to whites, argued Marley, was by refusing to practice the racism of white people. 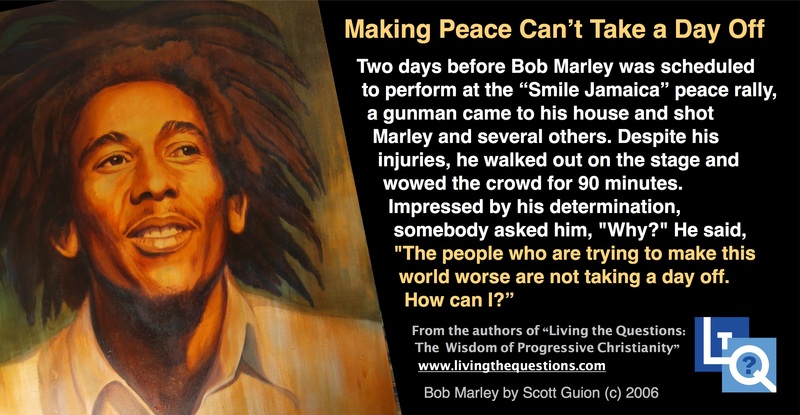 Marley was a peaceful, gentle, man who’d known great suffering but refused to reflect anger back into a world that had already seen too much of it. 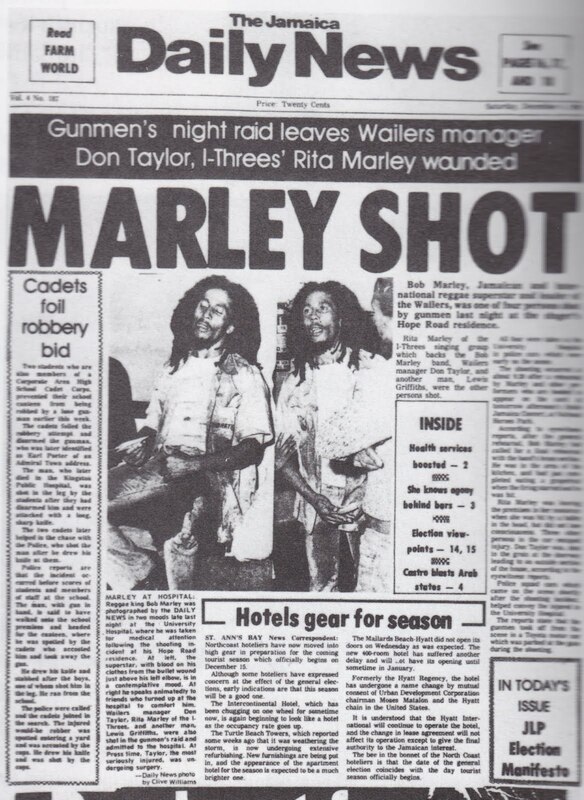 Two days before Bob Marley was scheduled to perform at the “Smile Jamaica” peace rally, a gunman came to his house and shot Marley and several others. Despite his injuries, he walked out on the stage and wowed the crowd for 90 minutes. Impressed by his determination, somebody asked him, “Why?” He said, “The people who are trying to make this world worse are not taking a day off. Bob Marley portrait by Scott Guion (c) 2006. Visit Scott’s website by clicking HERE.